In the wake of a local tragedy, single mother Elizabeth Miller and her withdrawn son Bailey try to jump-start their relationship across the breakfast table. But with berserker appliances, shifting astronomy, and the talkative new family dog Elizabeth might not be able to really "see" the person she needs to see most. Don’t miss this National New Play Network Rolling World Premiere by Atlanta favorite Steve Yockey (Wolves, Octopus) before it moves to theatres throughout the country. The Actor’s Express production of "Pluto" is visually arresting. A tree in bloom spreads down from the ceiling at stage right. A refrigerator stage left vibrates and opens on its own as moody lights shine. Kat Conley’s set design embodies an eat-in kitchen that one character finds attractive and another finds not out of the ordinary. Daniel Polk’s lighting shows it to advantage. Add in the costumes of Isabel & Moriah Curley-Clay that include old-fashioned diving equipment and you have a show that looks very good. It could only have been improved by a more visually literal representation of Cerberus, the three-headed dog that guards Hades. Having Alison Hastings portray Cerberus in street clothes and occasional dog-like posturing doesn’t resonate in a visual way. Steve Yockey seems to have developed his script specifically to include moments of visual interest. The upside-down tree and the refrigerator aren’t really integral to the storyline. They’re explained, but not in a fashion that makes one think "yes, that’s right; it wouldn’t work any other way." There’s nothing wrong in making a show interesting visually, but in this case it seems somewhat arbitrary. The script nicely hints at the action that occurred just before the play begins, adding details that eventually reveal the action in full. It’s not all literal, with the death of one character occurring onstage in a way that contradicts the explanation later given of the literal death. The start of the play, at 9:30 AM, introduces Bailey (Wyatt Fenner), Maxine (Stephanie Friedman), and Bailey’s mother (Kathleen Wattis) in individual scenes that have an unnerving, ominous quality. By the end of the intermissionless play, three minutes later at 9:33 AM, those seemingly inexplicable initial moments make sense. Director Melissa Foulger has directed the show so that its reveals follow one upon another to keep interest. It works. The performances are all good. Wyatt Fenner is quite believable as a typically alienated teenage boy, and Kathleen Wattis is wonderful as his concerned mother. Joe Sykes shows up late as Death, but makes a very strong impression. Stephanie Friedman comes on as a force of nature portraying a disgruntled female acquaintance of Bailey’s, displaying amazing energy in her every moment onstage. Alison Hastings also impresses as Cerberus, although her most impressive speeches compete with the refrigerator effects, turning her technical jargon into white noise. The Pluto of the title refers both to the (former) planet Pluto and to the Roman god of the underworld. The script attempts to tie the two together, but in a somewhat artificial way. "Pluto" is certainly an intriguing play, nicely structured to build to its conclusion, but it doesn’t all fit together in the way a truly great play would. 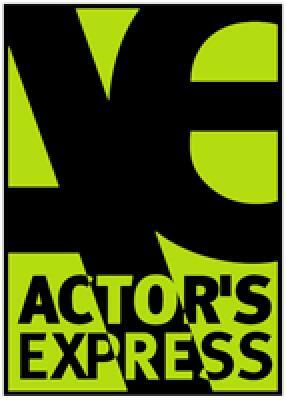 Nevertheless, it’s a fine addition to the promising Season 26 at Actor’s Express.